In our endeavour to provide the very best to CAT aspirants, InsideIIM has joined forces with ARKS Srinivas to bring you a series of Live Chats every Thursday to boost your CAT prep. ARKS Srinivas will be available at InsideIIM to guide you in every step of your journey towards the CAT. We continue the Test Prep Weekly Live Chat Series with a Live Chat today (8th November 2014) at 6:00 pm. The Live Chat Series is aimed at clearing all your doubts regarding Test Prep (CAT and other top B school entrance exams). You can ask ARKS for anything, from tips for verbal wizardry to questions on quantitative conundrums. You can also ask him questions on test taking strategies etc, basically anything that will help you clear the CAT with flying colours. ARKS Srinivas wears many hats. 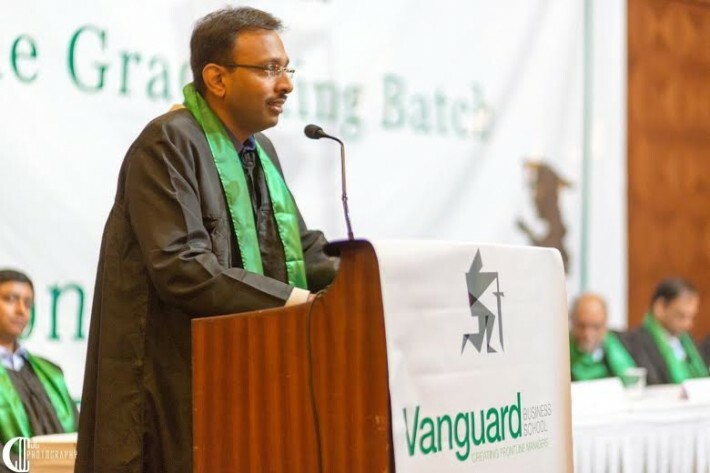 He is the CEO of VistaMind Education and he is a director of Vanguard Business School. In his avatar as test-prep coach with VistaMind and earlier with T.I.M.E, he has safely guided countless students into their dream B schools. He is an alumnus of IIM Calcutta. You can read some of his earlier articles on InsideIIM.